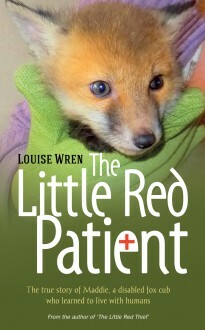 When Louise Wren spotted a tiny animal moving in the gutter as she was driving near her home one night, she screeched to a halt to find it was a fox cub, just a few weeks old, which had been hit by car. Louise has become something of an expert on foxes, having made friends with a whole family of them in her back garden, so she rescued it. The cub’s hind legs appeared lame. Would it have to be put down or would Maddie, as she called the cub, survive with the specialist care of a vet’s family who had other rescued foxes living with them? This is her story.